Never before today, in the ecommerce world is important to choose the best partners to work with. Whether you are a small business or a more structured one, you know that if you want to grow steadily optimizing your current sales channels it is not enough. Maybe it is time to look at new sales channels. 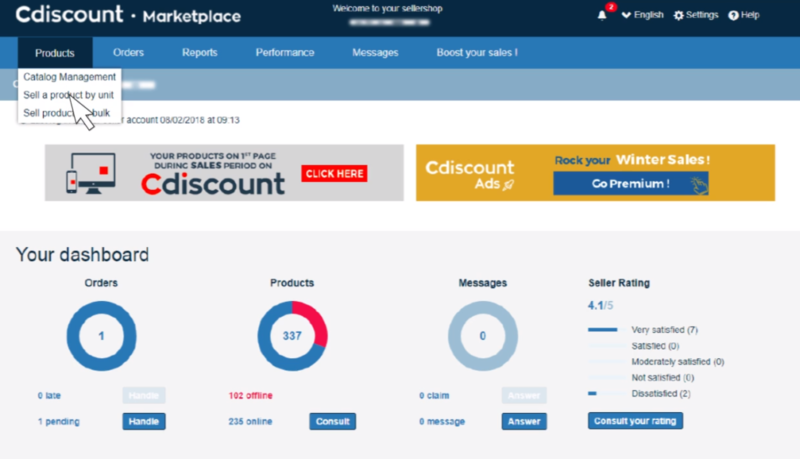 If you haven’t done yet, I suggest you to look at what the french marketplace Cdiscount has to offer. In this article I’m going to share with you some key information to start selling on Cdiscount in just 3 steps. Let’s go in depth with it. Nearly 100 products sold every minute by +10.000 sellers. Respectable numbers, which make Cdiscount an essential player for anyone who wants to consolidate his business in the European Market. The first thing to consider is your product catalogue. It is important for your product catalogue to be as full as possible and for this to be the case from the outset. The larger the range of products you offer the greater your visibility on the site. The greater visibility on the site, the greatest your chances are at making a sale. Similarly as you will see it’s just as quick to created a thousand products as it is to create one. As well as a large number of products, the quality of a product data sheet is important. Remember to focus on high quality images, a clear description, it’s technical attributes and the relevance of the product name. All of these aspects will make your offer easy to read and attractive to customers. Individual method allows you to put a small number of products online quickly, but remember you can upload only 100 products for a week. To access this option go to your Seller Zone, click on the products tab and then on “sell a product by unit”. You can then search for a product in the search bar using EAN, title or keyword. If the product exists you can let yourselves information such as prices in stock levels directly. If it does not exist you will be invited to create the product. In other words to create a reference for it in our database by entering the product key details which are the same for all sellers title description picture brand colour and so on. The bulk method, which is recommended by the marketplace, is the most efficient. It allows you to quickly make a large number of products available for online distribution at the same time. To access this option go to your seller Zone and click on the products tab then on sell products in bulk you will then be able to download an Excel spreadsheet for the product creation request. This file allows you to create entries for products in the database by entering all the data pertaining to the product. You can create up to 10,000 products at once. Remember that the more details you provide about a product better it is for your customers. However once the product creation request file has been completed you can upload it from the same page in your Seller Zone. It will then be processed by Cdiscount and in within a few hours your products will have their own entries in our database. At this point you’ll be able to put them on sail by adding the sales information using the tab add/modify commercial info on the page. 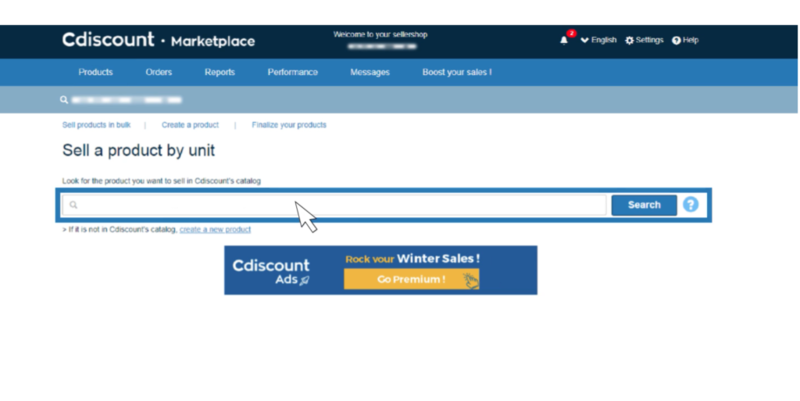 Similarly once this is completed you can upload it and within a few minutes your products are available for sales in Cdiscount. However there are some rules that have to be respected. The product title must be unique and should ideally contain the make and classification of the product. Generally speaking the cleaner your file is the faster it will be processed. 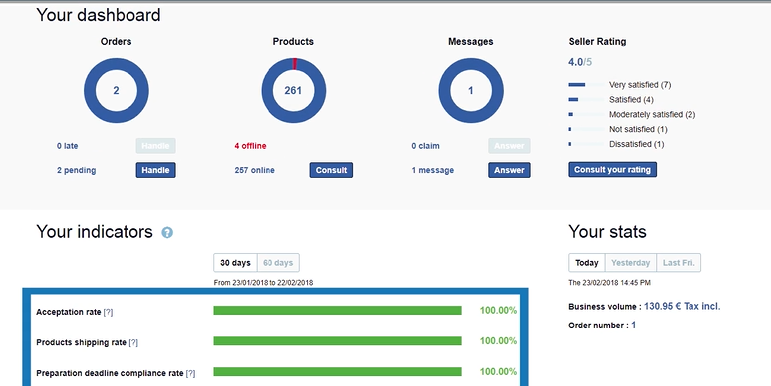 In the seller zone you can also see Reports, clicking in its dedicated tab, that enables you to track the processing of the various files used to post products online and their status. The final method is through Api or IT integrations. with this method you can automate the information feeds between your database and Cdiscount’s one to put the product online. This method is particularly effective but requires strong software development skills, if you are a small company then the advice is to use the massive upload of products through the excel file that cdiscount provides. Now that you have all your product online, you are about to start receiving the first orders. But…how do you manage them? Let’s start from orders notification. Orders notification comes to your inbox with a summary of the order. Then you must accept the order after which you’ll receive the customer’s address and can start to ship it. At each stage it is important to update the order status in your seller zone or via your integrator, accepted then shift and above all enter the tracking number where required. Remember that transactional and confirmation email can be a strategical asset to build a long term relatinship with your customers and to do upselling and cross-selling. If you want to know more about transactional and confirmation email check here our latest article. Cdiscount monitor the claim ratio of his merchant to ensure that its customers receive high quality customer service. Quality requirements enable merchants to operate and develop a healthy business environment. High quality service provided by all sellers is the hallmark of a satisfactory customer experience and is also a key Factor in building the trust that customers place in the professional sellers on a marketplace. Of course achieving good rates will favor positive customer ratings and definitely boost your sales as trust is one of the most important factor in building a long term relationship with your customer base. Now that you have set up your account correctly it’s time to connect your courier service. If you actually don’t know which one to choose, take a look at our latest articles in which we compare the best couriers services. 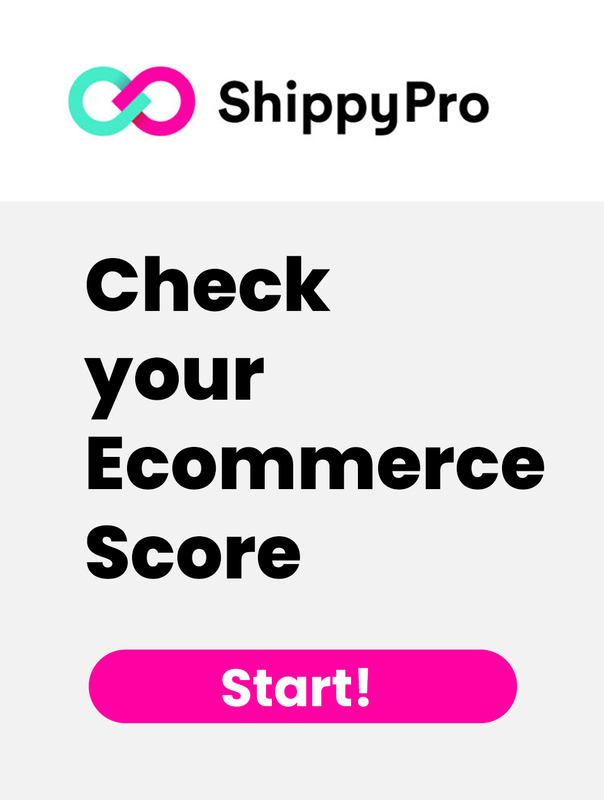 Import your orders, synchronizing your online store and your website to automatically receive the unshipped orders. Add your couriers account, simlpy using your existing couriers’ login credentials. Print your labels, selecting the unshipped orders in one click (even selecting multiple orders). 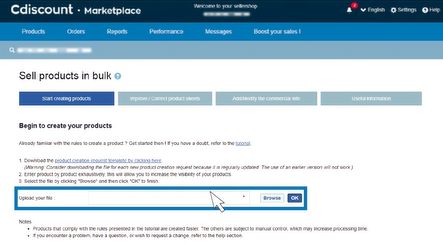 Update your marketplaces and send transactional branded emails. Keep your Stock up to date focusing on your top sales item. In other word you want a solution that allows you to ship high volumes smarter! Check Here to find how to help your business grow!